Aufgrund der grossen Nachfrage vom Lido ins Astra Kulturhaus verlegt!! Karten behalten ihre Gültigkeit! Coming to us at what feels like a breaking point in humanity, God Has A Voice, She Speaks Through Me intends to act as a hopeful light and a reminder of simple joys. With a springtime dance-floor sound, CocoRosie narrates a suicide story that takes place in a tender and elated moment of innocence, focusing on releasing and returning to Mother Nature. CocoRosie's fascination with combining things that clash continues to drive their process in both song and production. Their current creative environments range from hi-fi studios to simple field recordings (i.e. dolphin and whale sounds). Some inspirations to their hearts at the moment are Cher, Beethoven and finding true love's kiss. 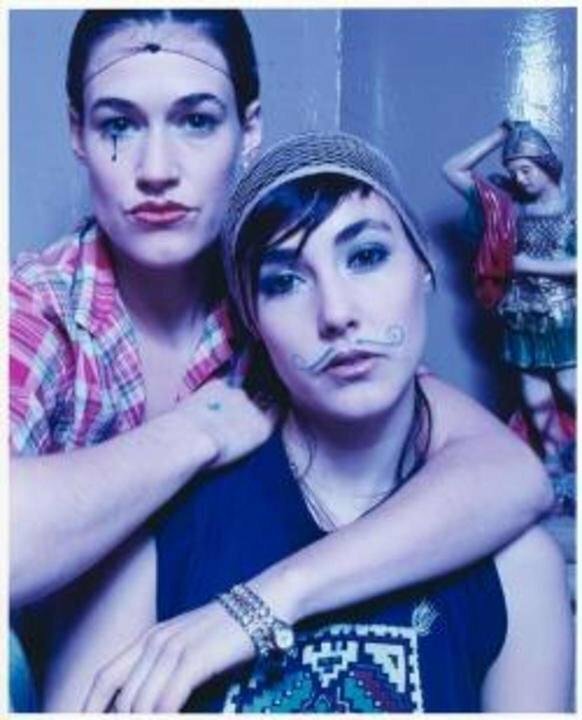 CocoRosie is currently working on the follow up to their last full-length, The Adventures Of Ghosthorse & Stillborn, slated for release in 2009. This new work will continue in the vein of God Has A Voice..., exploring spiritual dance music, driven by oceanic and apocalyptic themes. Until then, the girls will continue their endless summer journey, one that has taken them to beach side studios around the world, where folk musicians from Madagascar and Reunion Island gathered to lend their hands in creating the future lives of CocoRosie.